Biography: Dr. Hao has been practicing and researching scalp acupuncture for thirty years and has been teaching classes and seminars in the West since 1989. In 2006 Dr. Hao gave a scalp acupuncture seminar at Walter Reed Medical Center in Washington DC where he successfully demonstrated scalp acupuncture treatment of phantom limb pain for veterans. 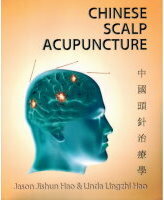 His book, Chinese Scalp Acupuncture, was published on November, 2011. Accommodations: Due to the World Cup of Hockey taking place in Toronto the same weekend, we were unable to secure a good deal with any hotels in downtown Toronto. We recommend www.airbnb.com.